Purpose: The aim of the research was to determine the benefits of applying the new Figuration philosophy of dance, based in part on Plato, to civic education. Design/methodology: A close phenomenological reading of Plato’s The Laws, with a strategic focus on its account of the concept of posture. 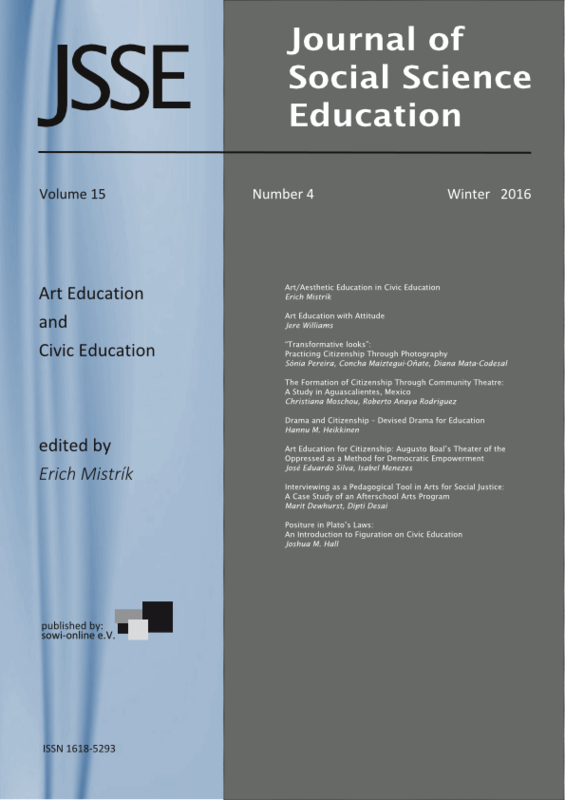 Findings: Plato considers posture to be central to dance education, which in turn is central to civic education, as suggested by concrete analyses of dance based on posture. Research limitations: Further studies on this subject are required in order to achieve a more nuanced and balanced account of the concepts of posture articulated by other philosophers and theorists. Practical implications: More resources must be allocated to dance and dance education, in the interest of fostering civic education, and the political virtue that results therefrom.